LOOSE AND LEAFY in DORSET: READY, STEADY - AND WE'RE OFF! READY, STEADY - AND WE'RE OFF! Tree Followers! The link box for your tree following posts is on Loose and Leafy! And I'll try to schedule it for 7am each time. it's best that you put the URL to a post about your tree rather than to the blog as a whole. Most people will find it by clicking on the title of their post and the correct URL will replace the blog's URL in the address bar at the top of your screen. Diana at Elephant's Eye has suggested we include countries in the Tree Followers list. Good idea. I'll do that. Once that's done, you'll notice a very heavy bias to the northern hemisphere, especially to the UK and the USA. Do you know bloggers with differently arranged seasons, hotter or colder climates who would be interested in tree following? Do drop them a note and suggest it. 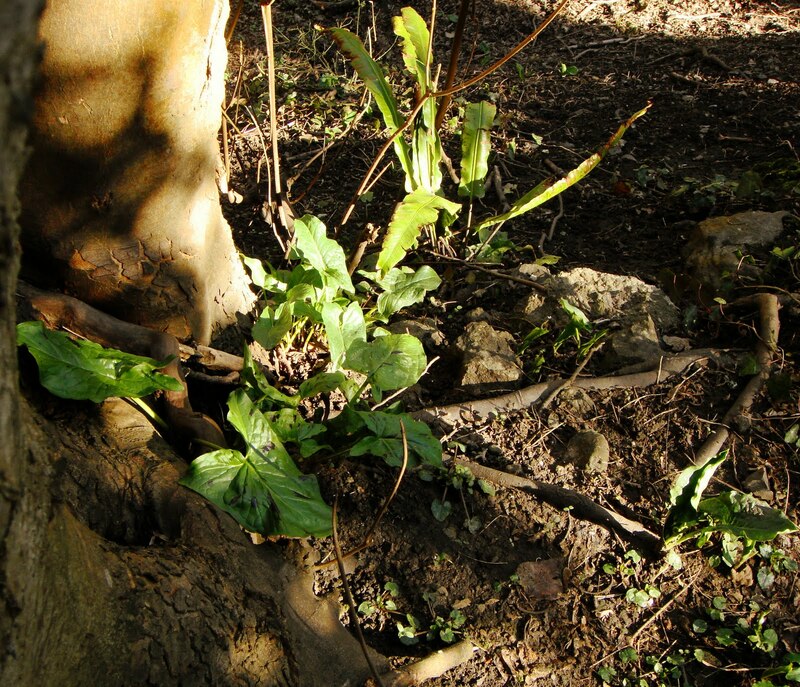 UK Followers - You might also like to take part in the Woodland Trust's Track a Tree project. This involves keeping and submitting records of a tree over several years to see if climate change is affecting when spring springs and autumn falls. (Tracking like this is called Phenology'.) It's more formal than Tree Following but could be done along side it. If you could check you are in the list of Tree Followers on the Tree Following page, that would be good. If I've missed you, your tree or your blog . . . or if you haven't yet let me know you are taking part . . . Looking forward to reading your posts! Best wishes and good blogging/tweeting/Youtubeing and any other ways you can think of for Tree Following. THE LINK BOX IS FOR MARCH IS NOW CLOSED. BUT THE LINKS HAVEN'T VANISHED. TO FIND LINKS TO ALL 56 POSTS, CLICK HERE. Hi Pat. Yes. The link is working and will take readers straight to your tree following post. We're up and running! Lucy, this seems (?) to have worked, but not sure how/if the Mr Linky box connected to my earlier Mr L. registration - or if it matters! I've added my March post and included my country name after my name. I'm looking forward to visiting the other participants and reading about their trees. Thanks for hosting this Lucy, great idea. The link on my name in this comment doesn't go directly to my site as you don't have that option showing on Blogger. Blogger tends to think those of us with independent sites are spammers and links us with the anonymous section so many bloggers don't show that option. Mine is a back door link so you have to take an extra click to get to my site. Mr. Linky leads directly there. We're about to go away for a few days, so I'll catch up with everyone's posts when I get back. Hello Lucy, hopefully I've pressed the right buttons so my fist post reaches you safely! Thanks, again, for hosting this wonderful meme. I have a few blogger friends in Australia and S. Africa, so I'll try to remember to urge them to join in. I do think it's fascinating to compare notes with gardeners/tree lovers around the world! I have just written my first tree post. Mine is the garden crab apple tree that I see outside my window every day. It`s a good time to start this, when we are waiting for spring in England. Thank you Lucy. I hope the link works! My tree needs an ID. My wife and I walk past it on our morning walks. Since we live in the Pacific Northwest (on the Oregon Coast) our trees are mostly conifers. We like the broad leaf trees for the leaves. Through the years, I've been able to build up a rapport with the owners so they will either rake and bag the leaves or allow me to. This tree is one of the few broadleaf trees in my little town and I'd like to know what kind it is. Hi Lucy, I've linked up my post, thanks for letting me join up. I remembered! Well done Lucy for organising this again, such a fun and interesting thing to do. Hope I have done the link thingy right! Hurrah, we're off! Such a great idea Lucy, thanks for putting this together. And thank you for making it easy to remember, all the 7s. First tree post delivered in time - looking forward to checking out everyone else's tree (as soon as I have done all the holiday washing) haha. Here's the comment to go with my Linky contribution -- news of my cottonwood tree. I followed Lucy's idea of making a video. This is amazing! What a wonderful way of sharing thoughts about trees. I didn't add a specific post and I do apologize; I was so excited to join in that I threw in my blog and then read the directions more thoroughly. But, ack, great to be around so many fellow tree lovers. Will be picking my tree on Wednesday and post on my blog them. that we have just planted. What a great idea! Added the link. But I will be editing the post. I joined up on a too busy day so will definitely add more actual tree related info as soon as I can. I think this meme is a really great idea, thank you very much for hosting it. I am looking forward to watching my tree round the year and to reading about other bloggers' trees. wonderful to see such enthusiastic support! My tree post is up now Lucy and I'm looking forward to getting to know my tree better this year. Will be back later today to visit other trees. This is is going to be fun :) Thanks for hosting. I've had time today to add a second post on the tree. I'm not a naturalist and my blog is not a nature or gardening blog, but I've very kindly been allowed to join this list. I'm keen to keep a record of the two beautiful trees that I can see out of my window as I work. Lucy: Great to see so many people tree following. Looking forward to reading them all. Am keeping a separate blog for this and will add other people's links on that too. 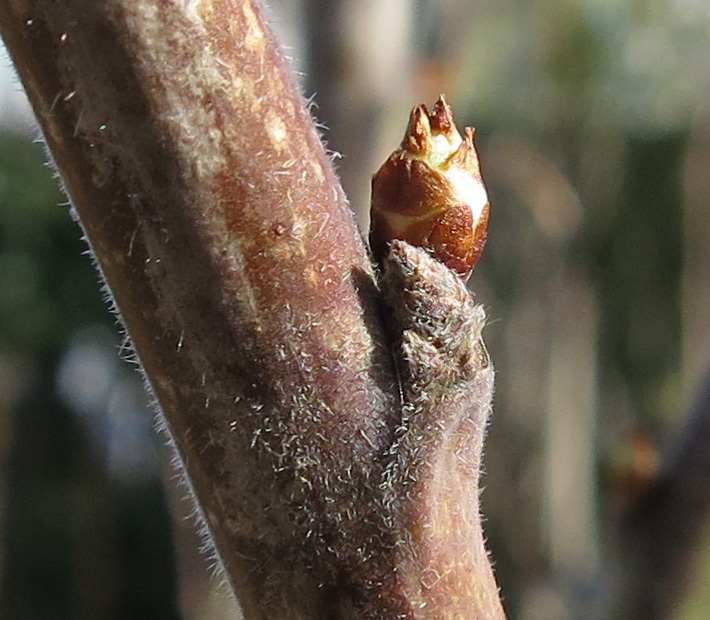 My horse chestnuts hereare busy with buds just about to spring into leaf. A fig tree in Lincolnshire, UK is my contribution! So interesting to see which tree others have chosen, and also how they have approached the meme. Thanks for hosting Lucy! I've just posted about Red Majestic, a contorted hazel tree that currently is barely visible underneath the snow. Hope I've made the link work and that others can read about my tree -- such a great way to link people with common interests. Thanks, Lucy! I hope you don't mind Lucy but I have done another Tree Following post, I just couldn't resist it! I've posted my link to a patio Cox's Orange Pippin tree.